Amazing Spider-Man--The flagship title for my favorite superhero, the issues I've seen this year have done a splendid job of upholding the high standards established long ago for Spider-Man's adventures. The artwork is consistently dynamic and fun to look at, the writing is stellar, and the storylines themselves make for interesting developments of Spidey's character as well as those around him. I'm sad to see it ending, but have high hopes for its follow-up, Superior Spider-Man. Batman--Scott Snyder is a bona-fide genius when it comes to storytelling, and it is because of his deft exploration of the Dark Knight that this title remains one of the very few DC titles on my pull list. 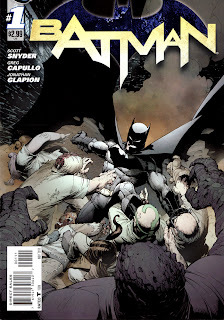 Between his plots and Capullo's pencils, we have been given a new dream team that have already made an indelible mark on Batman's legacy with the Court of Owls, Night of the Owls, and Death of the Family storylines. Together they've made an intense, harrowing existence for Bruce Wayne and company, and I expect they've got plenty more where that came from. 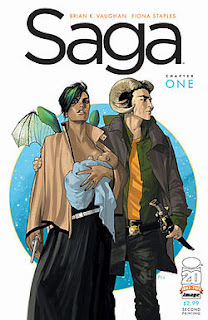 Saga--I will read anything Brian K. Vaughan writes. Saga, his latest endeavor, takes a space opera sci-fi setting and uses it as a backdrop to tell a tale that captures readers' emotions as well as their imaginations. Fiona Staples's artwork is beautiful and dovetails perfectly with Vaughan's storytelling style, making for a breathtaking visual experience that will leave you clamoring for more. Scarlet Spider -- Kaine's adventures in Houston, TX have made for entertaining storytelling that takes place in my hometown. Manhattan Projects -- An alternate take on the World War II program that features sci-fi and some flat-out strange fun by Hickman and Pitarra. Thor: God of Thunder -- The best thing to come out of Marvel NOW! so far. Jason Aarons is telling a story that you can't miss here. 1. The Amazing Spider-man- I have always been a big Spider-man fan, and this year I am happy to say The Amazing Spider-man was great. Dan Slott told some great stories. Dan Slott puts you on the edge of your seat especially with the events going on in the last story arc of The Amazing Spider-man. Dan Slott has guts to change a well-known character like Spider-man into something different. I am sad that this series will be ending, but I am sure Dan Slott is going to do a great job with Superior Spider-man. I hope Superior Spider-man is one of my favorite series of 2013. 2. 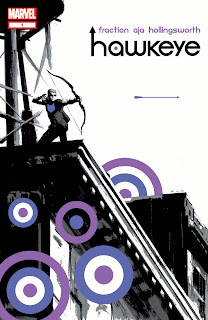 Hawkeye- Hawkeye is a new ongoing series from Matt Fraction. I was pleasantly surprised with this series when I read the first issue. I love how simple, but brilliant this series is. It shows what Clint does when he is not being an Avenger. Sometimes Clint can get outshined by the other Avengers so it is nice to see his character shine in his own book. The dynamic between Kate Bishop and Clint Barton makes this series special. They have one of the best dynamics I have seen in a comic book series. This is a series that is under the radar that I think everyone should be checking out. 3. Batgirl- Gail Simone knows how to write Batgirl’s character so well and it shows in this New 52 title. I have been a Barbara Gordon fan for as long as I can remember. I think Gail does this character justice. Many people were upset when they saw Barbara was not going to be Oracle anymore, but Gail Simone did not forget that Barbara was crippled. It is a big part of the series, and what makes this series great. It is too bad that Gail Simone will be leaving this series when 2012 ends. I don’t know if the series will be the same without her. OK, listing Moloch does kind of feel like I’m cheating—after all, it’s a two issue mini-series attached to the Before Watchmen prequels and only the first issue has come out… and despite coming out in 2012 the issue is listed as being a “January 2013” release. But the first issue is one of the best issues I’ve read this year, and it’s taken me a couple days to realize that every other series I’ve read this year (with the exception of the other two on this list) have been mediocre at best. Unless I comprised this list entirely of Before Watchmen titles, which still only ranged from mediocre to great. Moloch is a great protagonist. You sympathize with him and learn his entire back-story, which doesn’t feel rushed at all. It also has touches of violence to keep readers on edge while still managing to always have us cheering for Moloch. This doesn’t really feel like a Before Watchmen title and could be a stand-alone issue that anyone could enjoy—as long as you like seeing the origins of a sympathetic villain. And who doesn’t want to see that? Get emotion for your money with Moloch: no Watchmen required! I originally started reading Astonishing X-Men when I heard Northstar was in it – thanks to the huge news story hitting all the papers about his papers to a civilian by the name of Kyle. I loved Alpha Flight and wanted to see Northstar. I got a lot more than I ever thought I would. Northstar, ironically, gets on my nerves a lot in this title, but I loved everything else... well, actually I don’t really like some of the artwork and the annual was pretty bad… and, again, Northstar gets on my nerves… but I digress! Despite the handful of flaws, reading from issue 50 and onwards I was enraptured by an interesting plot and one of my new favorite characters: Karma. Karma is a mind-controlling mutant who serves as a very empowering figure to me. She cares about her siblings and is even willing to forgive her sister, who has a great back-story. I also love how Karma is a rare-see in comics. She is an immigrant from Vietnam. The series this year lead me to discover a very empowering and unique character and I can not wait to see more of her! The concept is wonderfully simple, yet also mysterious and unique: a guy named Lou died and now jumps from body to body. Only problem? He can’t control when or who he switches into, and that person is always destined to die a painful death while Lou is controlling them. This concept is great for horror hounds who like to see some gruesome deaths, but the story has another surprise. Despite being pretty graphic at times (in a great cartoony style that assaults you with a variety of acid-trippy colors), this is a love story. And it works really well. The development of their feelings may seem spontaneous, but almost as quickly their feelings grow to feel natural. All the twists and turns in these four issues combined with mystery, gore, love and loners makes this a top-tier title for me! Why SAGA, why not it’s AMAZING it has Action, romance, Betrayal and a whole load of weird and wonderful plot points. It’s by Brian K Vaughan who has the best sense of driving his story across through creating different characters with their own personalities and by doing this you don’t really hate or love any of the characters, you follow them on this adventure and you feel part of it. Another point about why it is so good is the art by Fiona Staples she takes Brian’s vision and buts’ them onto paper, if it’s from prince robots or rocket tree’s she creates it and makes it look colourful, vibrant and believable. One of my highlights this year was I got to meet Fiona at a signing and she did me a Amazing sketch. SAGA #1 will be one of my favourite issues for a long time to come as it had everything I wanted in a comic. If you’re not reading SAGA it’s a defiant pick up. Another Image comic from a pair that not only work amazing together but make use of their relationship to create something that was meant to be a limited series into a ongoing. Issue 6 is my favourite because it had an amazing cover by Sean Phillips of the main character Josephine. She is a female Fatale, which means she doesn’t age and she can control men, am not sure if she can control women it hasn’t been explored yet. In this issue it begins a new chapter so we move to the 70’s and into Hollywood. It made me feel like I was in the period and the panels and characters flowed into each other like a movie. Ed brubaker knows what he wants to get across as the writer and I feel it’s one or if not one of his best independent works with Sean Phillips. This series is for people like period comics with cults and horror mixed together. I recommend it. With issue 34 being the last issue till the series comes back after a years break next year. 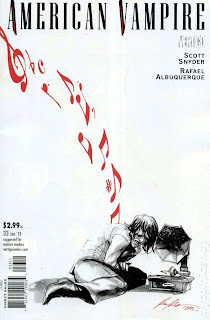 I thought long and hard about which issue I wanted to include on this list of top 3 then it came to me, issue 33 why because it goes back to the roots of relationships between the original American vampire Skinner Sweet, Pearl Jones and her partner Henry. I just love how Skinner is a bad guy you love and that you know the relationship between Peal and Henry because Pearl is also a American vampire and doesn’t age as Henry does and in this issue that is really explored and pushed to the limit. It really makes you believe about the period it’s in and you feel for all the characters involved. Also it had one of the best covers I have seen this year from Rafael Albuqerque . It is by Scott Snyder and art by Rafael Albuqerque. With this series taking a break in 2013 in my opinion if you want to read American Vampire, I think it's best to catch up in trade. 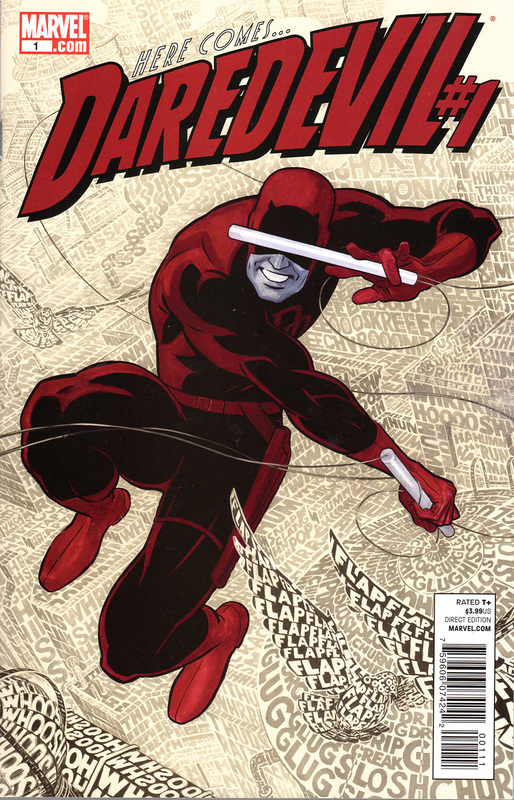 I always thought of Daredevil as more of a dark and gritty character. I’d describe him as Marvel’s answer to Batman. However this series just completely turns that idea on its head. Mark Waid does a fantastic job of turning Daredevil into a fun and exciting character to read about. Whether the book is focused on Daredevil himself or the man behind the mask, lawyer Matt Murdock, the book is extremely enjoyable to read. Each issue brings an exciting and fresh twist to the table, this paired with the outstanding dialogue make for an amazing book. Then you add the art of both Poalo Rivera and Chris Samnee and you have something truly special. I cannot recommend this book enough. If you’re not already picking it up, you should be! I had a hard time narrowing this list down to only 3 series. However I knew from the very beginning that Saga had to be on it. This book is a breath of fresh air. The world that Brian K Vaughan has created to host his “space opera” is nothing less than astounding. From “Wreath” to “Sextillion” there is a place in this universe for everyone and everything. The characters in this world are interesting to read about, so much so that it is getting hard to wait each month between issues. I always believed the mark of a good writer is how natural what he is writing feels. It has to be smooth and the interactions between characters have to be realistic. Brian K Vaughan ticks all of these boxes. Complemented by the art of Fiona Staples this book takes a hold of you from the very first page and doesn’t let go until the very end. I’d recommend this to any fans of Sci-Fi or just a good story. I just couldn’t leave this book off of my list. Collectively I have read every issue of this book in the last year, twice! I struggle to put into words how much I love this book. It is a soap opera for fantasy horror fans. The zombies take a back seat; the main focus is on the broad variety of interesting characters. I really don’t know how he does this, but Kirkman makes you really care about the characters so much that you worry about what will happen next. The world is vast and exciting; there is new adventure around every corner. This paired with the amazing dialogue make for a great read. The art in this book is also fantastic. A classic American cartoon style along with the black and white coloring fits the story perfectly. Artist Charlie Adlard can display emotion using the facial expressions and body language of a character perfectly. This adds a whole new depth to the story. I would recommend this to anyone. Please, do yourself a favor and pick this up! I think a common theme among my picks is that they are unexpected. When the new 52 hit I started out reading a lot of them to see what I might like (I was reading over 30 at one point.) One of the themes that I picked up on in a few issues was a focus on harder science for some of the characters. The place where this was best handled which I discovered was Captain Atom. As opposed to the other series where they mostly seemed interested in separating their gluons from their muons, Captain Atom took a look at the character in a different light. As the height of scientific progress what role was he morally expected to play for humanity? If he was no longer human then who was he? How far should he use his powers to help the few as opposed to helping the many? In fact Captain Atom is probably the best series to get canceled so far in the new 52. For me the high point in a completely unexpected story was issue #6 where the subject was what he should do about his predecessor in the experiments that gave him his powers, a now out of control lab rat. It was a very compelling discussion, not really pulse pounding, but the kind of issue that sticks out in my mind for having tried a novel approach and succeeding completely at it. Again another one that I would not have ever thought of last year at this time. I read the first story arc of the new Justice League series, and I thought it was a pretty fun story with lots of action, even if it had less substance. The kind of thing that your eyes thank you for but that your brain might want an apology for. Fast forward to the end of summer and just on a whim I started to read old issues of Danger Girl ... and I loved it. Sort of tying again into the question of "Why is Razz who is one of the biggest proponents of realistic female characters now hyping Danger Girl, after she already betrayed those ideals for Dejah Thoris?" It is one of those cases where you absolutely cannot judge a book by its cover though. Does DG use its main characters in an exploitative way sometimes? Sensational? Absolutely! It is only when you start reading and realize that every character is a caricature though (both male and female) that you realize that the female character in the mix are actually some of the best written female characters in the medium. Getting back to the Justice League "apology to the brain" idea, in the series where the Danger Girl team joins forces with the G.I. Joe team (called Danger Girl/ G.I. 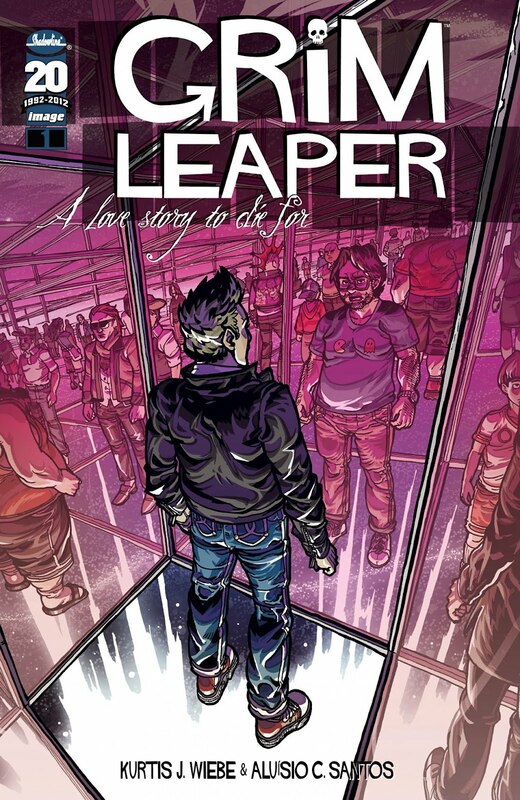 Joe) the action is almost non-stop but the characters are so rich and the developments are so fun that really you do not owe any body parts an apology. It is just pure fun and was undoubtedly my favourite series of the year. 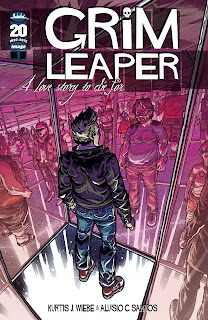 I’m pretty sure that this series is going to be on the top of many people’s top comic book lists. I wasn’t sure whether to put this at number one or not but then I said to myself…it’s batman so why the hell not. This series is just so awesome in many ways, specifically in its innovative and shocking edges. Scott Snyder has just taken this series in a totally awesome direction and I just can’t wait to see more of his work. Plus, Batman comics are supposed to be dark and eerie! Yes, I chose another popular DC comic. I’ll say first and foremost that I am a huge sucker for Dc! I’ve just always been attached to the characters since I was a child. This series is just so awesome and easy to get into. I recommend this to any new Green Lantern readers. Specifically, each issue leaves you wanting more and not being able to wait for the next issue. Trust me, it is one hell of a ride. The reason I like this title so much is because I had low expectations. The reason being is because I was never really into Thor (unless you count Chris Hemsworth)! Once I gave this series a chance I totally enjoyed it. This is a great place for new Thor readers to start, just the way I did.